Sorry to start out the week on such a downer, but I just can’t hide my deep sadness at the relentless gun-violence madness in the news lately. If not madness, what else can this be? Gun proponents, whether you’re shooting at animals that you intend to consume or paper targets at a range, how important is this pastime to you? Is it so important that you’d oppose gun control that could prevent senseless deaths of men, women and children? How many accidental domestic gun deaths will it take before the lesson is learned that guns in our homes don’t necessarily make us safer, but rather, all too often, result in the antithesis of safety? Given the oft-quoted definition of insanity, that it is marked by doing the same thing over and over again but expecting different results, for the long-term survival of humanity, isn’t it about time that we try something different? Isn’t it about time that we put down our guns and focus our attention on preservation rather than destruction? I don’t often use the ‘H’ word, but I hate guns too. It is scary to think of the power wielded by the NRA, that they can bully legislators into saying it’s okay for any crazy person on the street to be able to go to a gun show and walk away with an assault weapon, whose only purpose is efficient and maximum slaughter capabilities. There is an arrogance about carrying a gun that affects people like road rage. Put someone behind the wheel or a gun in their hands and they are more like to go…well, ballistic. I could go on and on, but I won’t. Suffice it to say that accidental deaths and violent murder rates in countries where guns are not legal are much lower than in the US. It is scary and depressing to me, even without the Aurora and Columbine and many more massacres that we experience in the US. I don’t like the ‘H’ word either, but I agree with everything you shared. You said everything I could possibly say regarding this topic, Naomi. Thank you, Millie. It is one of the creepiest things about this country. I never let my kids go and play in houses with guns, and as far as I know, I don’t have friends who have guns. I’ve been raging about this on blogs for the last couple of days ( and I know I don’t live in America) and no disrespect to you F&B but the vast majority of privately owned guns in America are owned by men – I think bromide in the tea is what’s needed ! America exports more weapons than most other countries put together then goes to war with the very countries it has sold weapons to.. how crazy is THAT! The weapons industry sadly has much of government in it’s pocket. How on earth can anyone in his right mid think that it’s right that this young man could buy 4 weapons in 60 days plus thousands of rounds of ammunition, bullet proof combat gear, a gas mask and gas canistors… utter madness…and you are right the amount of accidental killings and murder over the most trivial of things is also madness. This madness will only continue as long as Americans keep quite.. It’s only the people who can change things..
Oh and God Help You ( though I don’t believe in him) if Romney gets in… he is as mad as a box of frogs!! Helen, I think you might be on to something! Things really got screwed up when those revolutionaries threw all that British tea into Boston Harbor in 1773, hence the American preference of coffee over tea. I’m always struck by scenes in British movies where it’s tea time and everyone, even the biggest, toughest, working class guys, covered in coal dust or engine grease, or soldiers in the trenches in Word War I, stop what they’re doing, pour tea into a dainty tea cup, and relax. So, maybe we don’t need gun control laws. Maybe we just need to establish a national afternoon tea break for all Americans. 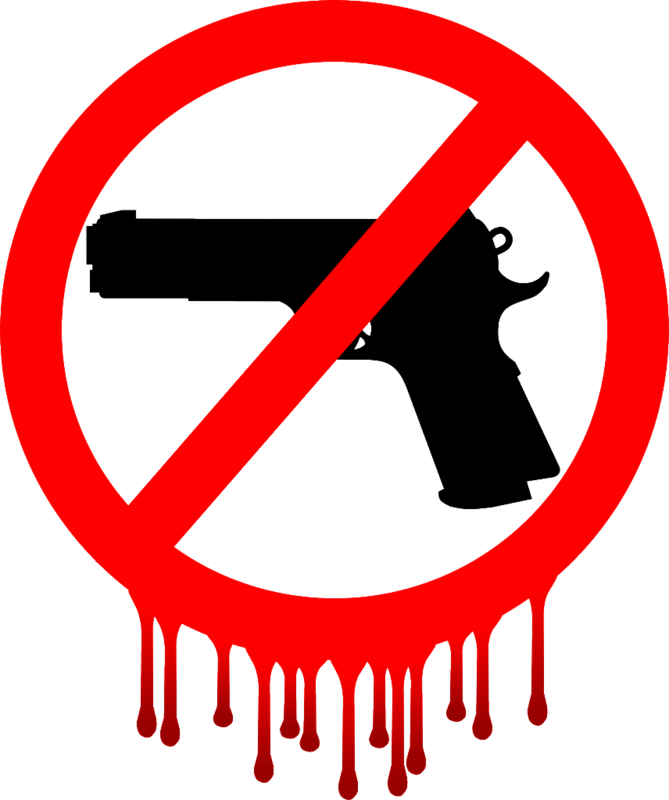 I’m deeply pessimistic that gun violence here in the US will ever end. Yeah, I hear you, Pit. Guns are so deeply embedded in American culture. It seems like it would take nothing short of a widespread, radical spiritual catharsis for things to change, and those don’t seem to happen very often. I read somewhere, just after that Aurora shooting, that the surest way for either Obama or Romney to lose the election would be to speak out in favour of stricter gun laws. And, sadly, I think that’s correct. It’s offensive to the Aurora victims, survivors and the families of both to opportunistically politicize this tragedy and use it as an excuse to erode the rights guaranteed to all Americans under the 2nd Amendment. I share the same thoughts, Howard. Subconsciously, the bullet motif has been creeping into my work. We can only hope for solace for the families dealing with these very preventable tragedies. Being Norwegian, just having passed a year after July 22nd 2011, I agree profoundly!